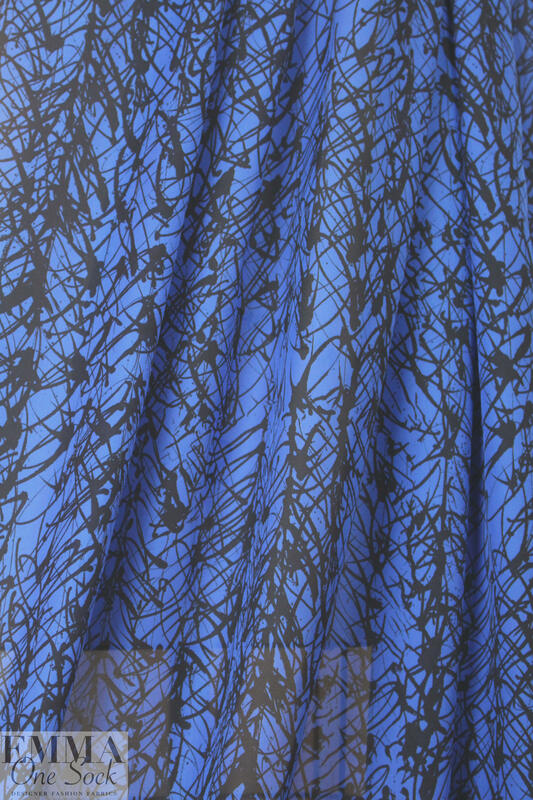 Just in with a collection from Mi11y, this is a wonderful silk blouseweight (a more substantial chiffon, perhaps? 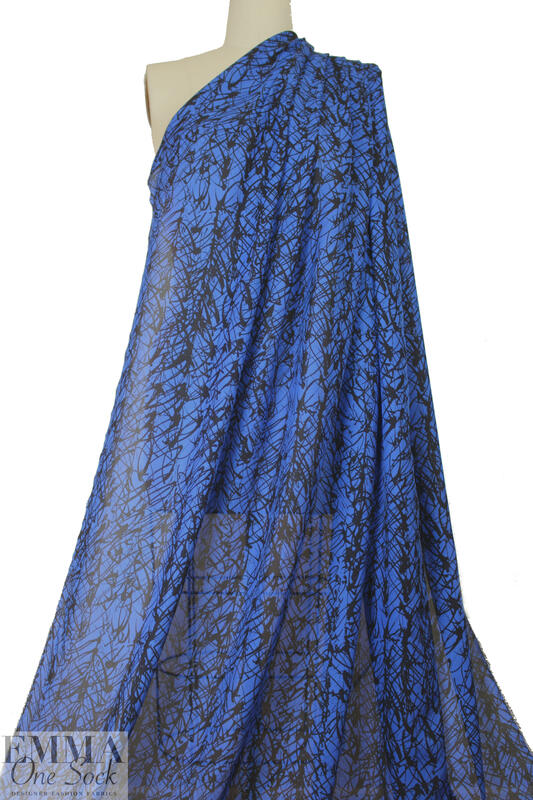 ), light weight, semi-sheer, with a flowing drape. 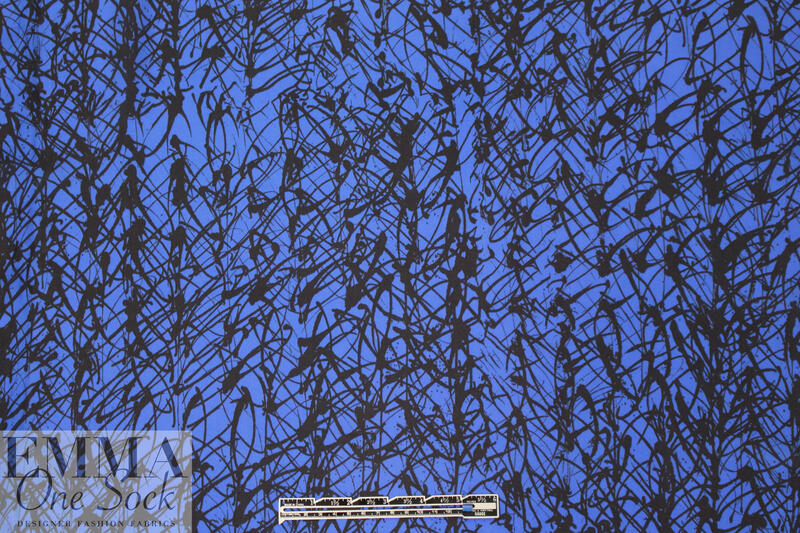 The scribble print (24" repeat) features blue and black (PANTONE 18-3949 ). 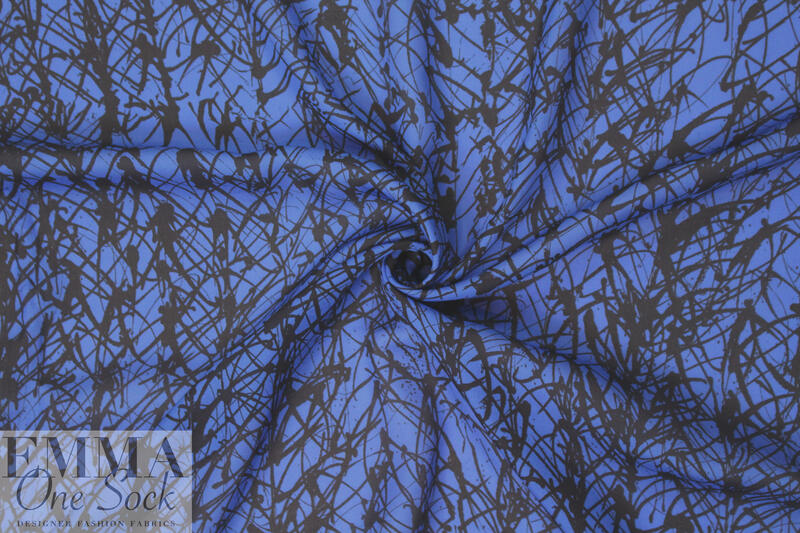 Vibrant and edgy, and perfect for a scarf**, blouse, top, tunic, etc. Some styles will need lining or layering. Test first: Hand or machine wash in cold water, hang to dry, medium iron.